What Nielsen says here about Laub’s songs also applies very much to his own output, which after the turn of the century consists almost exclusively of strophic songs with a simple accompaniment. A couple of striking examples from the period before he began collaborating with Laub are Holger Drachmann’s Du danske Mand(written for the Tivoli summer revue in 1906) and Jeppe Aakjær ‘s Jens Vejmand (published in 1907). The latter became a national bestseller and one of the first of Nielsen’s compositions to be recorded. Nielsen’s music publisher Wilhelm Hansen also benefited from the song’s success. It formed part of the first volume of Strophic Songs, opus 21, but was soon published separately and sold like hot cakes. A warm friendship arose between Nielsen and Aakjær, while he had a much more businesslike relationship with Drachmann, with whom he had further contact in connection with stage music. When the organist and composer Thomas Laub invited Nielsen in 1914 to collaborate with him on a collection of tunes to Danish poems of good literary quality, he initiated a joint effort on the “Danish song” that was to have a great impact on popular Danish musical practice right up to our own time. Laub, who had already spearheaded major reforms in hymnody and ballad singing, believed that working with Nielsen would make it possible to extend these reforms to the field of singing practice in general. Laub was very interested in the history of style, being inspired in this respect by the German composer Johann Abraham Peter Schultz (1747-1800) and his song publications Lieder im Volkston from the 1780s. Schultz directed the Royal Orchestra in Copenhagen from 1787 to 1795, and this resulted in some of his songs acquiring a popularity in Denmark so great that they still belong to the basic song repertoire. For Nielsen this collection – and his collaboration with Laub – implied more focus on the historical context of music (not least the permanent value of older texts, for until then he had exclusively set contemporary poetry), and on the functional potential of his own music in a more popular vein. The two composers continued their project with another set of twenty songs in 1917; these are stylistically very close to the 1915 book, and this time there is no preface. Nielsen contributed a total of 23 songs to the two books. The best of them (from the 1917 collection especially: Tidt er jeg glad (I am often Happy) and Se dig ud en Sommerdag (Behold you on a Summer’s Day)) provided a new benchmark for the artistic possibilities of popular song. Succeeding generations of composers have, as a result, been aware of their heritage in verse and song from earlier times. 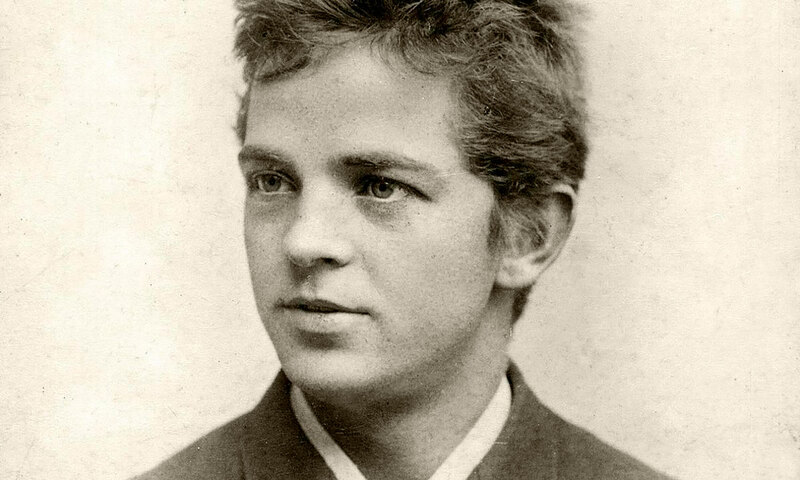 In the spring of 1914 Folk High School principal Johan Borup (1853-1946) approached Carl Nielsen about new melodies for some texts which he had compiled in a songbook for his school. Nielsen asked both Thomas Laub and some of his pupils to collaborate, and provided fifteen melodies himself. Most of these had been previously published: thus, he persuaded Wilhelm Hansen to authorize the reproduction of some of the melodies from A Score of Danish Songs, arguing that they would become more widely known. The collaboration with Thomas Laub, which had started with Borup’s Songbook and the two volumes of Danish Songs, was to culminate in 1922 with the publication of the Folk High School Melody Book. Initially it was composer Thorvald Aagaard (1877-1937) who had been given the complicated task of providing the first harmonised collection of melodies for the Folk High School Songbook (which was first published in 1894). Aagaard came from the same part of the country as Nielsen and had been his pupil. Besides, he had studied music history with Laub and was now an organist and Folk High School teacher at Ryslinge on Funen. He had also contributed to Borup’s songbook and, realising the scope of his new commitment, involved Laub and his pupil Oluf Ring (1874-1946) as well as Nielsen. Carl Nielsen collaborated on the Folk High School Melody Book until it reached its third edition (1928). It was Oluf Ring, the youngest member of the team and the one who lived longest, who then carried on the work together with Nielsen’s pupil Mogens Wöldike. Nielsen’s contributions seem to be of lasting value, however. The 18th edition of the book appeared in 2006, including many new melodies as well as 36 by Nielsen. In his art songs he wrote before the turn of the century, Nielsen had set contemporary Danish poetry to music – poems he had selected himself. J. P. Jacobsen had, in particular, occupied a central position in his early work even prior to his first published collection, opus 4, composed in 1891. Ludvig Holstein must also be mentioned here (Songs, opus 10, 1894, and music for the play “Tove”, 1908). After that Nielsen concentrated for a long period on the big musical forms; songs first regained a serious place in his output after he left the Royal Theatre in 1914. Danish poets still dominated Nielsen’s later vocal compositions, but now he concentrated mostly on older writers like Oehlenschläger, Blicher, Hans Christian Andersen and Grundtvig. Irrespective of whether he was writing hymns or songs, it was now seldom to texts selected by himself, but to poems handed to him by the editors of the various collections in which he participated. In these cases they either lacked a melody for a given text or did not find the existing melody satisfying. “A composer of hymns must be A Child of the House, by which I do not mean that he has a patent on faith – his faith can be weak, it can be wrong – but he must feel at home, that is to say he must have lived with congregational singing preferably from childhood, he must know it from its uses …”, he wrote to Nielsen. Carl Nielsen’s work with national song did not end with the publication of the first edition of The Folk High School Melody Book in 1922. He continued to collaborate on the second edition (a supplement which, together with the first edition, became the third edition in 1928). He also kept on working with songs in other contexts. In the spring of 1923 Denmark – A Songbook for School and Home was published under the editorship of Albert Jørgensen. Then Ernst Kaper, Copenhagen City Commissioner for Education, asked Carl Nielsen for a melody book for equal voices, that is to say for children’s choirs. By this time Nielsen had to watch his health and decided therefore to take on a collaborator. He chose a friend of his youth, Hakon Andersen (1875-1959), organist, singing teacher, and composer. The first edition of the melody volume of the Denmark Songbook included altogether 278 tunes. Forty-four of them were by Carl Nielsen, a few of them in unison but most for two or three voices. Nineteen of these melodies had never been published before. This melody book was successful and a new, revised edition (1926/27) included several more Nielsen songs. In 1924 Carl Nielsen plucked up the courage to tackle one of Denmark’s national gems, Det er et yndigt Land. Oehlenschläger’s text had been set to music in 1823 by Hans Ernst Krøyer (1798-1879). Nielsen could not complain about the launching of his new setting: it was first performed at the Royal Theatre on 1 June 1924 at a national rally of the Danish Choir Association accompanied by the Chapel Royal under the direction of Georg Høeberg . But Nielsen did not manage to repeat here the success of his Springtime on Funen from two years earlier. A number of reviewers were negative (“How can Mr Nielsen think that he can deprive a nation of its national melody, inherited through generations and canonised a long time ago?”). Moreover, Thomas Laub felt hurt because he had composed another new melody relatively shortly before, and thought Nielsen should have given it a chance. And neither Laub nor Nielsen managed to replace Krøyer’s melody, even though the latter’s angular rhythm may not seem to fit Denmark’s gently rolling hilly landscape very well.